Running a label that publishes improvisational music won't make you rich, but there are other pleasures to it. Bassist Joel Grip, the founder and one of the many head of Umlaut Records (Stockholm, Paris, Berlin), talks about all the above and more. 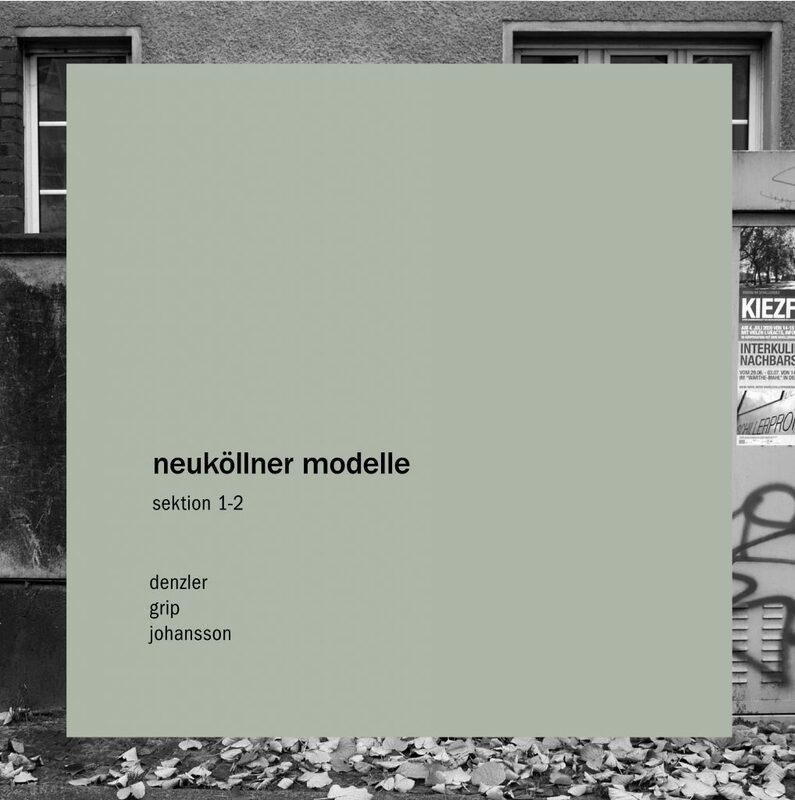 He also shares with us some inside info about his excellent new trio Neukollner Modelle (with Bertrand Denzler and Sven-Ake Johansson) which came out on vinyl from Umlaut and is reviewed below. What is it that makes you risk your own income in order to produce new music? Are there any similarities to that with choosing improvisation as a mean to express yourself? I don't have the feeling I'm risking my income. All I'm doing is using my income for something I believe in. To believe is risky, that I agree upon. What I believe in is often connected to the impossible, to the unknown. The way to deal with this belief is improvisation. In this sense, my way of making music is coherent to the way I conduct my daily life. The label seems to balance between more, let's say, traditional sounds, like bop and freely improvised music. Do you agree? Is that intentional or not? Yes this is intentional. Within the Umlaut collective there is a great interest in the history of music - in an older repertoire - as well as in the now, and the future of music - new repertoires. Through this research, this blend of times, we manage to produce music which from an audience perspective could be perceived as out of time and out of place; an uncategorized music. Future plans for the label? 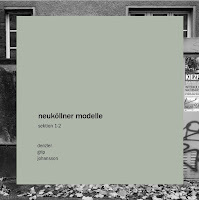 There are plenty of plans for future productions for 2017 – like the Neuköllner Modelle's Sekion 3-7 (then including Herr von Schlippenbach on piano). In general for the label – which is a complex organization including three countries and three forms of legal entities – we plan to work more internationally, doing festivals, and promoting live music. Only through playing music live we actually manage to sell a few productions. Right now we experience a kind of antithesis: we have the (unexpected?) rise of the vinyl market and the internet world which "demands" digital only music. Where do you stand as an improvisor and someone who runs a label? Personally I'm becoming more and more analog. I have noticed; the more I spend my time with the manipulative and fast digital communication, the less I actually do what I believe in: playing bass, meeting people, making discoveries, etc. I don't think that the Vinyl only is a bourgeois way of consuming music, I believe that mechanical sound-storing actually involves a threat to the digital, fast and mass produced, market and its listeners – now they actually have to listen. You even have to get up and turn to the B-side in the middle of the album. It makes background music impossible. The vinyl is a digital trap – this I like. You have even recorded a solo album for double-bass, something not common. You also participate in numerous groups of musicians. Considering that the double-bass is a unique instrument, describe to me the differences of improvising solo and interacting with other musicians. The double bass is not more unique than any other instrument I would say, even though it is a bulky thing... All instruments are unique in their unique ways – to express myself politically correct... Playing solo is more of a psychological experience than for example playing in bigger groups. In solo you don't get the support, or the discomfort for that sake, you get when playing with other musicians. I like solos when they are not heard as of being solos; when there is not an everlasting phrase of a single mind. Solo playing for me is a bit schizophrenic. You are communicating with the many voices you carry within you. These voices should be heard! In the opposite way, I enjoy playing the bass in a larger ensemble which makes the collective music sound like a single person; when the collection of unique instruments unite in a functional way. I'd say that the question of function is very interesting and important, for both players and listeners. The new trio LP with two musicians of older generations seems ambitious. Do you agree? Did you have difficulties finding a common language? Was that one of the goals? Considering that Sven-Ake Johansson comes from the first generation of European improvisors, how easy (or not) is it to get rid of old habits and practices and invent something new musically. Is improvisation always a new language or is it just a myth? I would say that improvisation is more a technique than a language. Sven-Åke is a master musician to me because he manage to renew and re-question himself and his environment. For him it seem to be easy to get rid of old habits. He is a master of the non-inhabited! He is also a stylist of refinement. If you use improvisation as a technique in pure sense, it will not allow you to stay within the same language or habits. It continuously confronts you with new borders to be transgressed. It throws the question back at us: how many of "the great improvisers" improvise, really? Improvisation combined with monetary success is not always a good combination for stepping out of habits. Do you find, still, that improvising is firstly a here and now experience? Is it possible, for a recording, to deliver the same message? Where do you stand? Improvisation is not only a here and now experience. It also involves the history and the future – and other aspects as well such as social, acoustic, spiritual and geographical. A recording is for me a dead object from the musician (creator) perspective. But for the listener it can be an ever-changing thing. The sense of balance between putting down fine melodies and improvising is very strong during the whole fifty minutes that this album lasts. This seems even more difficult to achieve when you think that the artists come from different musical backgrounds. “We are common in being different”, says Joel Grip in the small interview you can read above. This is a universal, humanitarian and tolerant approach towards art, subsequently and life, very much needed these days when the world is being polarized from racists spreading hate. It also follows a long tradition of improvisational music: bringing together different people who try to present something new both collectively and individually. At the same time, the fact that makes me an enthusiastic follower of Umlaut Records' catalogue is another balance: this time one between jazz's tradition and today's improvisation. I guess it's a tough combination, making it easy to expose any exaggerations towards both ways-the past and the present. The three-piece line-up of saxophone, percussion, and double-bass isn't exactly new to any jazz fan. It is the aforementioned balance they manage to achieve that makes it stand out as one of the best releases (yes, this game again...) of 2016. I cannot find many new words to write about Sven-Ake Johansson (percussion) and his role in European free improvisation in more than the last four decades. Bertrand Denzler has built a big, always on the edge of what we call jazz, catalogue over the past twenty years and I'm really fond of his recordings. I was lucky enough to catch Joel Grip live while battling to make real time improvisations work. And he succeded. The first side of the vinyl (yes fellow vinyl fetishists!) sees them taking a point of departure as if they were together as a trio for many years. They start by building a rhythm section relationship that, for the reason I just mentioned, gives you a warm feeling. Denzler's sax prefers a little more melody than you'd expect. Johansson's play is beyond any description: accurate, spontaneous, playful and polyrhythmic while creating a solid backbone for the other two artists. He is the reference point for the trio. Denzler's reeds leave plenty of room for his co-players to create. No screams, squeaks or whatever else this magical instrument can produce. Less is more for him. By not being a musician, I find it extremely hard as well as otherworldly joyful to understand how he can melodically improvise. But he does. The second side sees them in a more exploratory form. I hear an edginess from the sounds of the double-bass while the drums are up to create a two-way path: one that follows the bass and another that resembles the totally free approach of a solo performance. The sax explores more ways to undermine the balance by phrasing freely or, even, sometimes leading. One could say that during the first minutes of this recording the procedure of putting melody with an improvisational angle can be puzzling. But, as it usually happens, if you take the time to listen carefully, the result never fails. And beware. There's a follow-up to his album, with Alexander von Schlippenbach, coming. Bassist Joel Grip, is the founder and one of the many heads of Umlaut Records (Stockholm, Berlin, Paris)!! Great review, Fotis. Agree about Denzler maintaining this otherworldly space, his touch is light but effective. And I really appreciate the interview with Grip, and of course the announcement of Sektion 3-7!